The answer to this question depends entirely on your situation. If you are an automatic watch connoisseur that likes to collect and wear different watches for different occasions, than a watch winder could be a worthwhile investment. Imagine making a last minute wardrobe change and the desired watch for the occasion isn’t keeping the correct time because it hasn’t been worn for quite some time. This can be a frustrating experience. A watch winder becomes particularly useful when your automatic watch maintains a calendar feature. These can be complicated and cumbersome to reset. There are many who who believe that in order for a watch to work – it must be used. 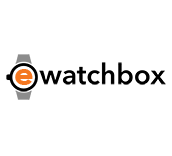 If watches aren’t worn and displayed in a watch box or watch case it is possible that the internal mechanisms can malfunction over time because they aren’t properly lubricated. If you don’t own multiple automatic watches and wear the one that you own on a fairly regular basis than a watch winder isn’t really necessary.